We’re moving in a few days and being the organized individual that I am I packed the entire kitchen, except for camping dishes. I was missing the kitchen this morning and decided to open a few boxes to gather what I needed to create. This is what we came up with. These are so simple and a great little treat if you’re in the mood for something sweet and healthy. Process until smooth and then add in one cup of unsweetened shredded coconut. Pulse a couple of times until it’s all combined and transfer the mixture to a bowl. Add in another half a cup of coconut, mix well and you’re done. Use your fingers, pinch a bit of the mixture and place them on a parchment line cookie sheet. We made eighteen of them. Into the fridge or freezer for about half an hour… just until the coconut oil hardens and then all you have to do is enjoy one! 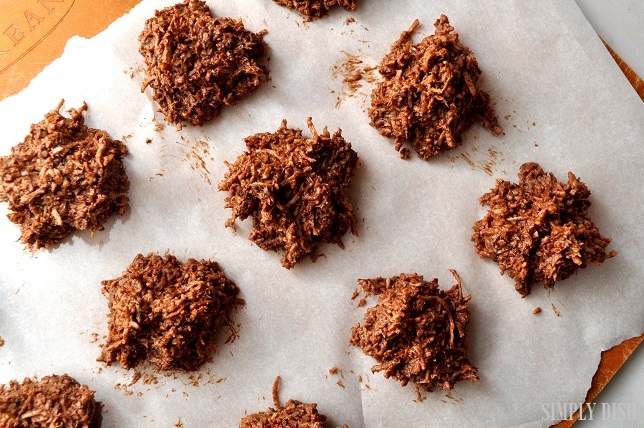 They’re creamy, chocolatey, chewy and sweet…and without any sweetener! Yay! Process one cup of hazelnuts in your food processor until they’re crumbly. Add in a quarter cup of raw cacao powder and process until combined. Then, add in a two tablespoons of water (maybe a splash more) and one tablespoon of agave. Process until smooth and voila! 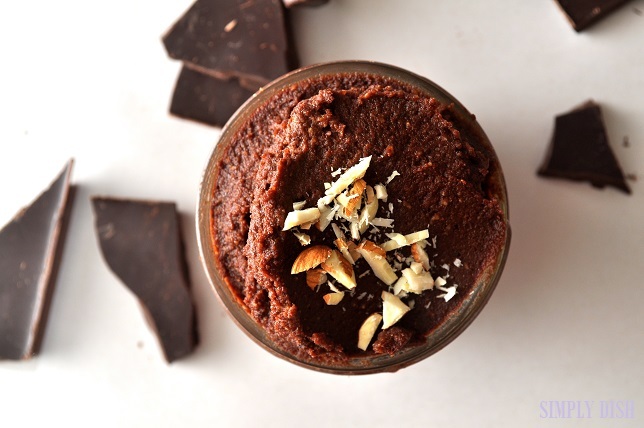 Note: you can also use melted dark chocolate… about fifty grams would do the trick, but more wouldn’t hurt.